My love and appreciation for banchan began in Canada growing up in a Korean family with a passion for Korean food and continues while teaching with Chungdahm in Korea. Teaching in Korea with Chungdahm is an amazing experience. My students are just wonderful, they love to learn the material and I have so much fun teaching them and interacting with them throughout each lesson. Also, you will really enjoy spending time and going out to eat with your fellow teachers too, and of course, banchan will be involved when you go to eat out. 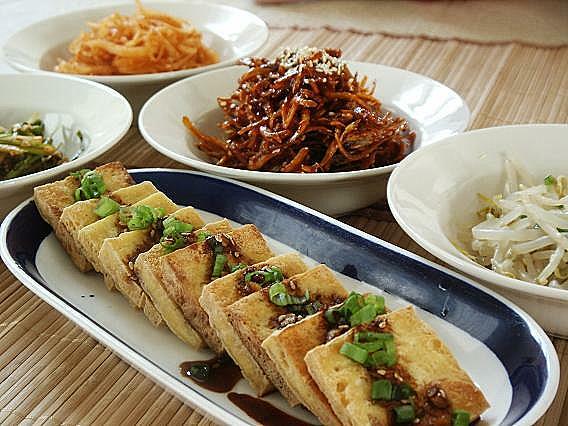 Banchan, 반찬 meaning “side dish” in Korean, are served as the prelude to the main dish. However, they don’t serve the purpose of appetizers. 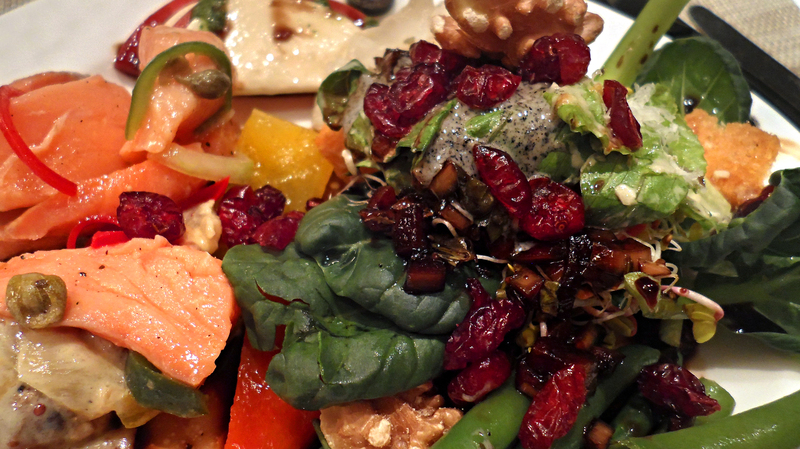 They add a whole new dimension to a meal and act more as complements and are eaten together throughout the meal. When you eat out, which you will do a lot, expect to see anywhere from 5 to 12 different side dishes, and the best thing about them besides the variety and taste is that you can ask for more once you are finished. Having lived in Korea for three years, and also lacking the ability to cook, I have enjoyed various foods from numerous places located throughout Korea. That said, there are some places that I keep coming back to, whether it is because of taste, ease, or just a pleasant atmosphere. 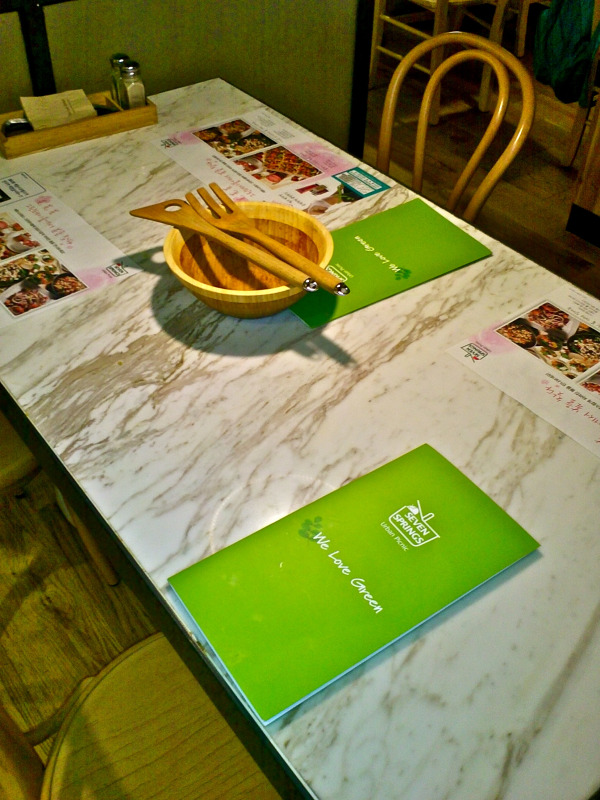 Today, I would like to introduce you to three restaurants you should check out during your time teaching in Korea. I picked these places in particular because they are chain restaurants, and you should be able to find a location no matter what city you are teaching in. 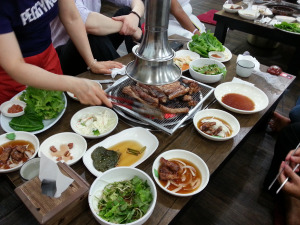 When I came to Korea to teach English, the first thing I noticed, was the way in which the Korean people eat. I’m not talking about the fact they use chopsticks, or spoons to eat rice; I am talking about the way they order large dishes to share with each other. This is something that has transcended over to foreigners who now live here. In the beginning, I thought it was just common while eating at Korean BBQ’s to share food, however; now that I have been here for some time, I see that it is rare to see people (Foreign or Korean) ordering individual portions. This culture makes dining out in Korea that little bit more friendly. Vizavi: Jamsil Branch tastes a new kind of delicious in Korea! It’s that busy time of the Chungdahm calendar again. Summer intensives, Toefl testing and end of summer semester has arrived. CDI instructors are working hard ironing out those student report cards and preparing for summer intensive weeks. All teachers are in need of some downtime and what better way to enjoy some relaxation than eating delicious food and sharing memories with co-workers at the fancy Vizavi Buffet restaurant in Gangnam. For foreigners, South Korea is an enabler. It enables our late night partying, the late wake-ups the next day, and our frequent eating out at restaurants. Being such a Westernized country, it also enables our use of English. You can spend years in this country and never really have to use more than a few words of Korean, which is something that many foreigners fail to appreciate. I shake my head when I see foreigners yelling English at befuddled movie theater attendants or other service staff, somehow assuming that if they yell louder and faster, then these poor Koreans will magically acquire the ability to understand English. Personally, I believe that if you are going to spend a long period of time in another country, you should at least make an effort to learn the native language. 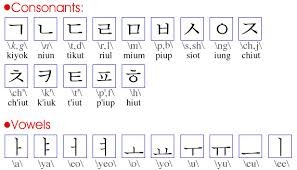 Having been here just over a year, I have three tips for all you language connoisseurs out there on how to tackle the Korean language. 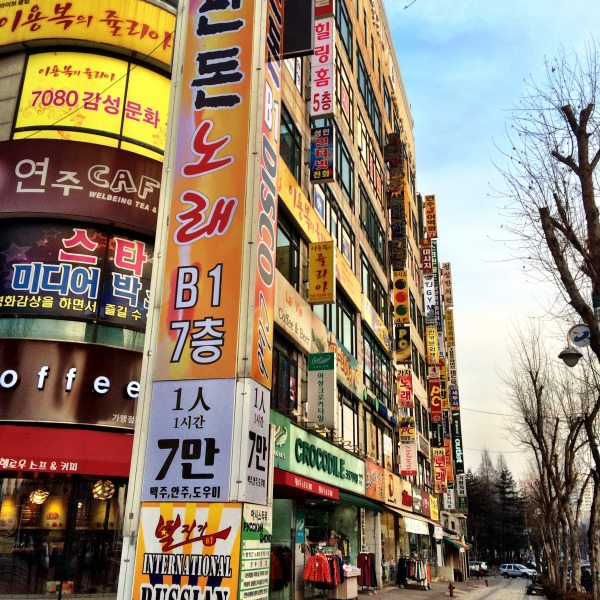 When I moved to Korea over two years ago, I was full of questions and uncertain expectations. I had been reassured by friends and my recruiter that everything would be great, but it was the specifics that I felt were missing. Part of taking a leap like moving abroad, however, means that certain aspects of your life will be unknowns until you arrive. Some of my biggest questions were about my neighborhood and what it would be like. 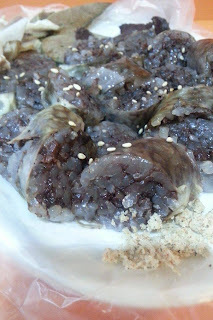 For anyone who has heard of blood sausage, the Korean traditional sausage that scares a lot of foreigners, it is a Korean staple that everyone must try. It is one of those things that you are probably scared of (maybe EXTREMELY SCARED OF), but you should just give it a go. 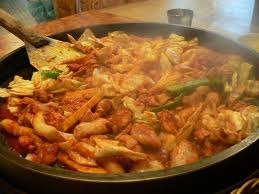 Luckily, there's a place that's very welcoming and serves this not so appealing Korean traditional dish. Bong’s Food 봉스 떡볶이 is a small chain in Korea with an original location in Sookdae, and they serve up a less spicy version of the Korean traditional dish of rice cakes and it is probably the only place that I recommend for EVERYONE who lives in or is planning to visit Korea. Ddukbokki is a popular Korean staple food, along with blood sausages 순대, fish cakes 오뎅, and a variety of battered fried goodies 튀김 (which range from vegetables to dumplings to fish cakes even). Korea Buffet Basics: I hope you're hungry! Here's a great look (video post!) at one of the many different kinds of buffets that you can experience while living and teaching in Korea. This buffet has a fantastic variety of food options and a friendly cook who helps prepare your meal. This buffet in Seoul also offers many extra 'service' options. You'll have to watch to find out what these are. If buffet chain restaurants were a flock of teenage girls, Seven Springs would be the Queen Bee demonstrating the supreme art of smörgåsbord dining in Seoul, Korea.